Weather Report: Its freezing here. I am definitely not used to cold weather. No more snow or rain though for the rest of the week. We are using two programs, Spoonflower and Pic Monkey to alter photographs and scans of anything; nature, collages or artwork we have made with watercolors, pens, pencils, etc. For instance, I have used various images such as a plate of tomatoes, a marble mosaic, a picture of the fabric from the pants I was wearing, and photo of roses in the snow. Then we put the work from the desktop into one of those programs to alter the photos. This is similar to Photoshop but not as complicated. I hope tomorrow I will be able to show you a before and after of what the process looks like. I am still working on at least 15 different images. Then after you get an image you like you can order the fabric yardage through Spoonflower that you have designed. 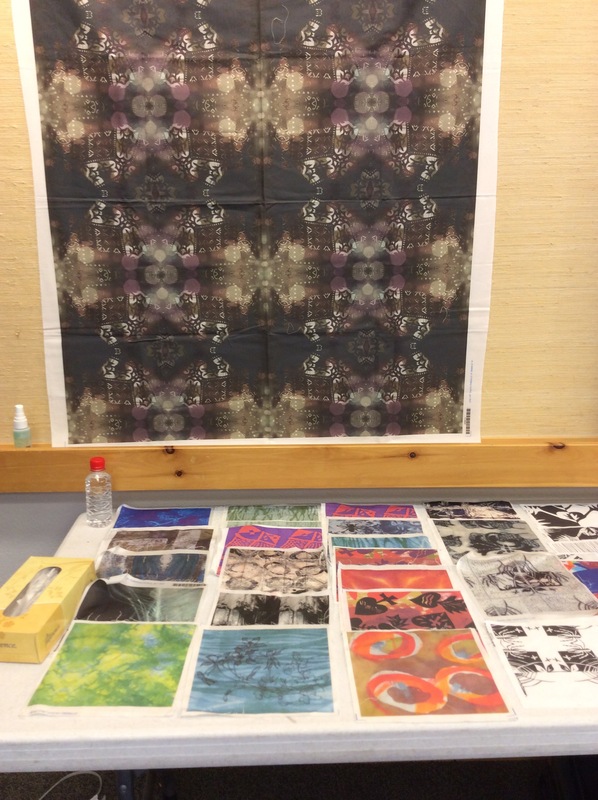 There is also a company in San Francisco that digitally prints fabric for artists. 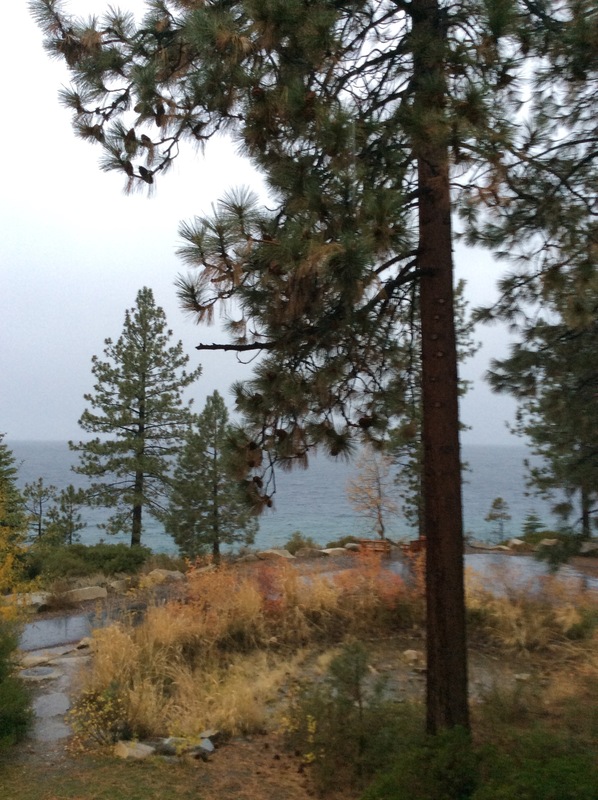 It’s been snowing and raining all day. Very cold too. There are six people in my class for learning digital designing of fabric. I was working my brain so hard (improves the memory I hear) that I forgot to take any photos. So much for that idea. 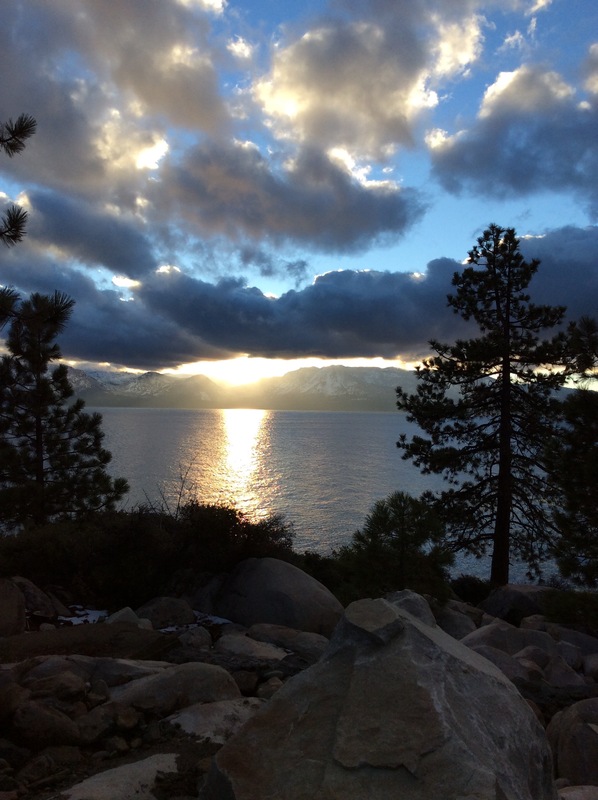 I am up at Tahoe for the week at the “Art Quilt Tahoe” Workshop. I will be learning the designing and printing of textiles. I will keep you posted on how this progresses. There are lots of famous (to me) textile artists who will be teaching and lots of quilt artists taking classes. I drove up yesterday in the rain. And it’s still raining. They were predicting snow but that has not happened. This conference center is a beautiful spot right on the lake. It’s great to get away and just work on art with no distractions. Everybody is friendly. So far, so good.